Did you know that your oral health and your overall health influence each other? It’s true! If you take care of your teeth and gums, you’re doing something great for your general health, and you have a much higher likelihood of growing into old age without the need for pesky procedures like root canals or tooth extractions. Taking care of your dental health isn’t too hard either. Just start following these simple rules today. Tobacco products in any form are terrible for your overall health, and your teeth and gums won’t be spared either. Tobacco use is present in almost all cases of mouth, throat, and tongue cancer. If you haven’t stopped already, talk to your doctor today about how you can quit. Teeth grinding or bruxism is a serious problem for your dental health because it wears down your tooth enamel, which is there to protect your teeth from the buildup of plaque and ultimately, from getting cavities. Your dentist can create at mouth guard for you that you can wear at night to stop yourself from grinding. Sugar of any kind is not good for your teeth or bums, but sucking on sugar for a prolonged period of time is even worse. This causes immediate and heavy buildup of plaque on your teeth, which can lead to cavities. Even if you think tongue or lip piercings look super cool, you should avoid them. More than most other places on your body, there are tons of bacteria in your mouth, and having holes in your tongue or lips means that there is a possibility for serious. Furthermore, the metal from your piercing will rub against her teeth and gums, which can lead to tooth loss. Of course this had to be on the list. Every morning and every night, you should both brush and floss your teeth. If you are really good about your oral health habits, you could even brush and floss after every meal. These are habits that you can never do too much. It may be tempting to use your teeth as tools to open bags or rip off clothing tags, but avoid the temptation. This can cause serious cracks and chips in your teeth. And last but certainly not least, make an appointment with your dentist as soon as possible. You should see your dentist at least once a year for a checkup. A dental hygienist will clean your teeth well to remove plaque build-up and give you a fluoride treatment to strengthen your tooth enamel. Additionally, your dentist can look over your teeth and gums to make sure that they are healthy and you don’t have any cavities. Every two years, you should also get x-rays to ensure that everything below the gum line looks good too. By following all of these guidelines (and starting today! ), you’ll be sure to protect your oral health and have happy and healthy teeth and gums for years to come. 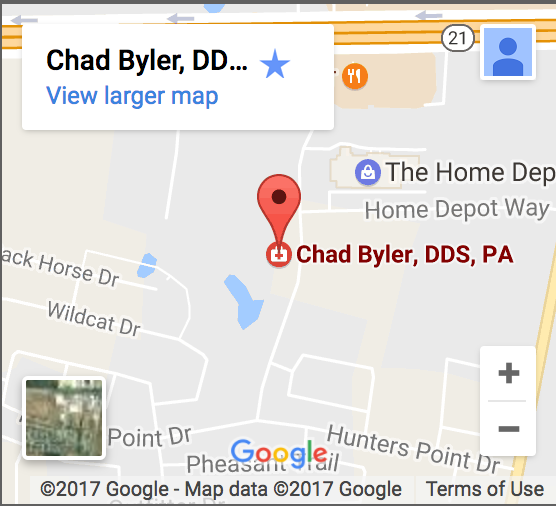 Schedule an appointment with our Bastrop dentist today!